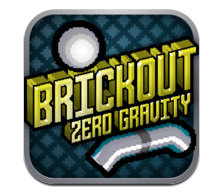 Brickout Zero Gravity is an addictive iPhone game developed by Abel Vincze. If you love classic arcade titles like Breakout and Arkanoid, Brickout Zero Gravity challenges players to destroy line after line of bricks, without losing their balls. There have been an untold number of Breakout clones over the past few decades. Some are out and out copies, while others attempt to put a new spin on the classic game. 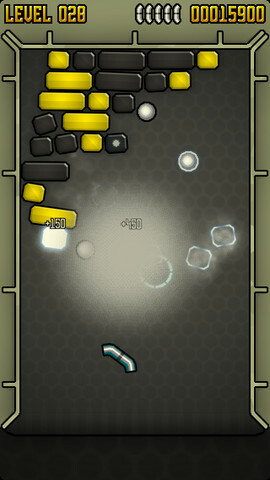 Brickout Zero Gravity is firmly entrenched in the latter category, with tons of little flourishes that make this version of the game unique. For one thing, there are the power-ups. These include multiball, exploding items and a laser gun…and my personal favorite, a wider platform to “beat” the ball with. 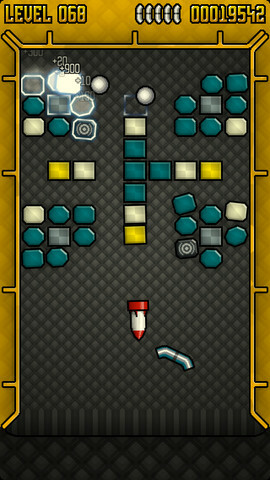 There are three levels of difficulty as well. Speaking of the visuals, this game is worth the purchase price alone just for Monochrome mode. If you miss your old B&W Gameboy as much as I do, you will love this feature. Now, there is also an iPad version of Brickout Zero Gravity available. This version includes 50 multiplayer levels that aren’t available to iPhone players, which is a pretty cool bonus for this Universal app. 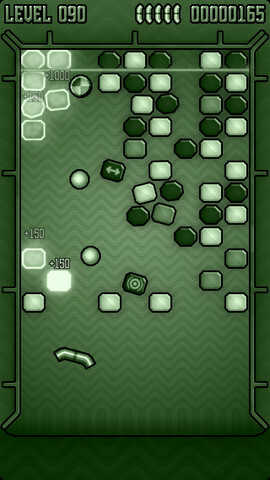 With 100 iPhone levels, unlockable bonus levels, and the option to listen to your own music, Brickout Zero Gravity is great. This game runs at 60 FPS for super smooth gameplay, making this Breakout evolution quite special. 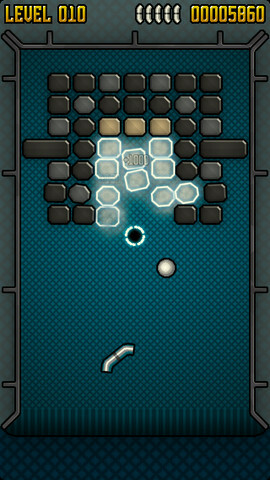 Brickout Zero Gravityis compatible with iPhone 4, iPhone 4S, iPhone 5, iPod touch (4th generation), iPod touch (5th generation), iPad 2 Wi-Fi, iPad 2 Wi-Fi + 3G, iPad (3rd generation), iPad Wi-Fi + 4G, iPad (4th generation), iPad Wi-Fi + Cellular (4th generation), iPad mini and iPad mini Wi-Fi + Cellular. Requires iOS 4.3 or later. This app is optimized for iPhone 5.